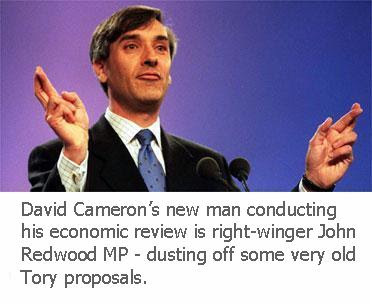 The Cowan Report: Is That John Redwood On My Telly? If in 1994, Blair had put Arthur Scargill in charge a similar Labour economic review, Blair’s claims to be moving his party to the centre would have been treated as a blatant lie. Redwood is to Conservatives what Scargill was to Labour, thus making Cameron’s claims to be taking the Conservatives to the centre little more than a hoodwinking exercise.